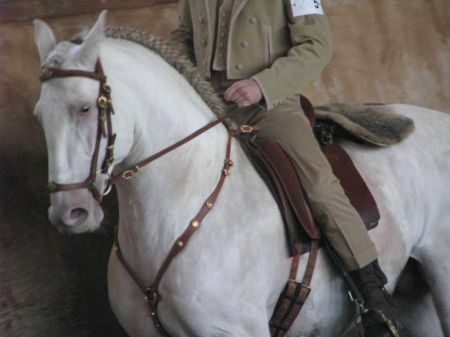 Pearl Lusitano stallion Xuxu, from Palomo Linares II out of Confusao. 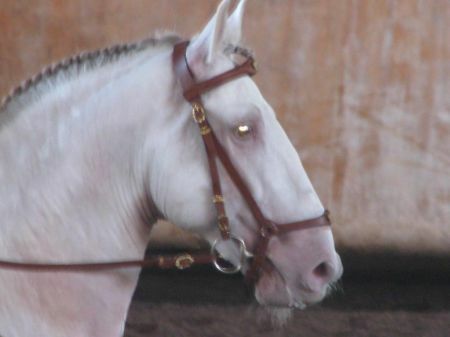 He's not been tested for grey, but otherwise has a bay base coat (EE AA) with both a cream and a pearl allele. He's described as being a "shiny Isabel with beige/greyish eyes and pink skin.